Checklists are a great way of managing any kind of internal process, such as on-boarding or off-boarding team members. There may be times when you need to delegate tasks to other people, for example if the CEO needs to take a new starter out for a coffee. 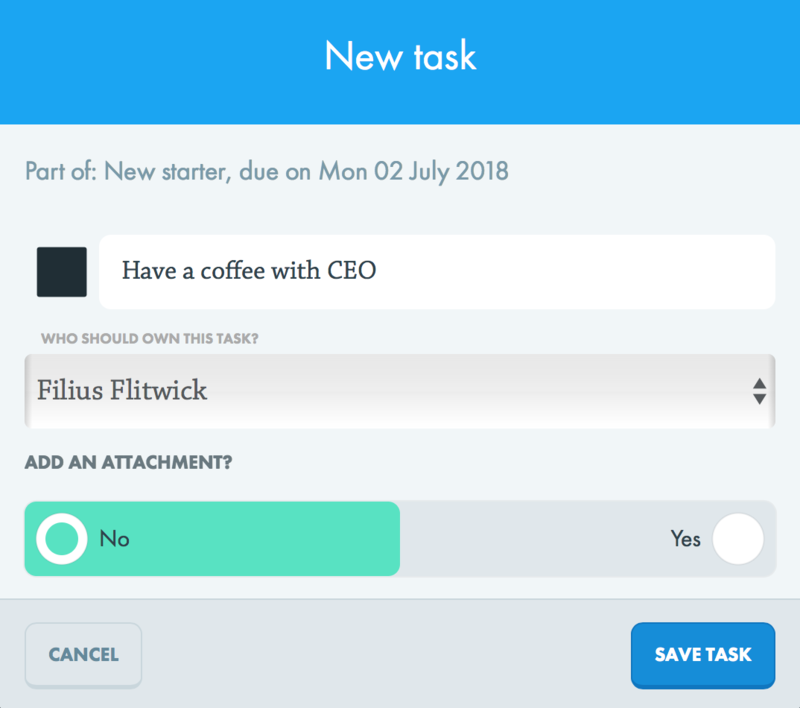 You can do this by creating a task and assigning an 'owner'.